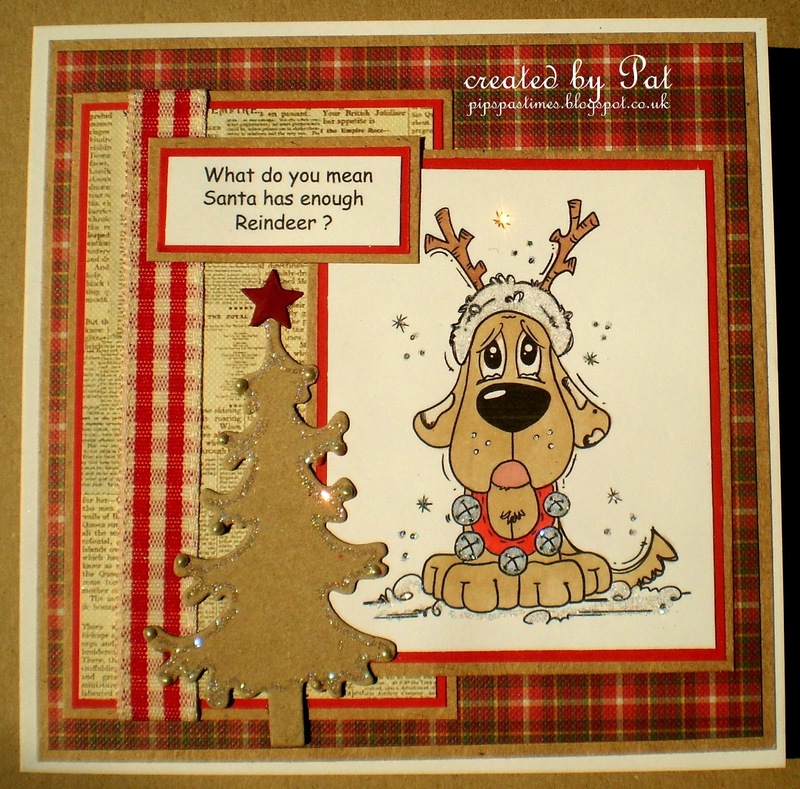 That doggie will certainly raise a smile Pat and do like the vintage feel with the red and Kraft. A fabulous card Pat, such a fun image and lovely colours - I love the sentiment. This adorable image and the cute sentiment always makes me smile. Great card design and fab papers too - I love it..!! Enjoy your evening. Aww, he's cute! Fab card Pat, love the use of kraft with the tartan papers. 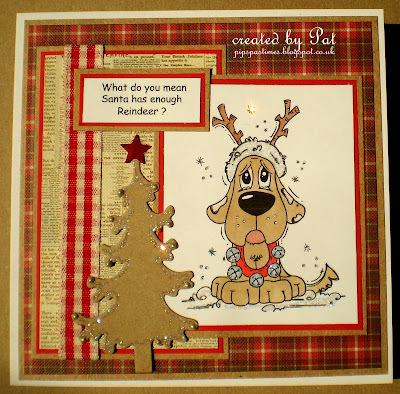 I love the design of this card Pat - well done!! Such a happy/merry Christmas card it made me laugh!! Such a cute image and i love the funny little sentiment. I think you have done a great job here!